While analyzing the auto manufacturer production number for the second quarter of 2017, we noticed an interesting nugget of information that may indicate a shift in consumer demand. A few months ago we published and article showing that consumers were shifting towards larger vehicles. Overall production in the month of April was slightly lower than planned. However, the auto makers increased the planned production for May and June to stay on target for a 2.3% increase in the second quarter vs. last year. What we found interesting is that even though light trucks (which include SUVs) will still account for 65% of the total production, an increase of 18,700 cars is planned while light truck production will remain flat compared to April. Once we noticed this detail, we set out to find an explanation. As you can see in the chart below gas prices spiked in early April and hit a one year national average high of $2.43 per gallon according to GasBuddy.com in the middle of the month. After hitting the peak, the prices seemed to drop down and stabilize a little bit under $2.36 a gallon. It seems that the run up in gas prices may have caused people to start noticing a hit to their wallets and begin to think about fuel costs when shopping for new cars. When the manufacturers saw people starting to buy more smaller vehicles, they incorporated that information into their production plans. The reason the manufactures are trying to make adjustments based on this seemingly small shift is that it is very difficult to predict buying behavior based upon gas prices. Nobody knows what price will become the tipping point. 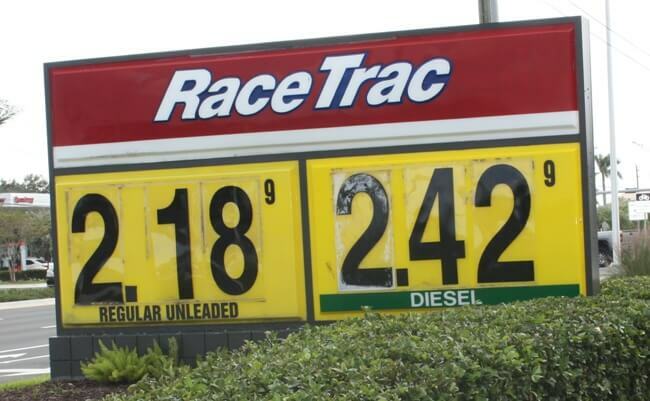 Before Hurricane Katrina led to massive gas price increases and set a "new normal" for the market, people would panic when the price exceeded $2.00 a gallon. Since prices in excess of $3.00 per gallon ($4.00 in some areas) were seen just a few years ago, $2.50 per gallon might not seem all that high. However, people tend to have short memories and may have gotten used to prices hovering around $2.00 per gallon. If consumers now consider this level to be normal, the recently seen increase may be enough to be reflected in buying habits. We won't know for sure until a few months from now when the actual sales data can be analyzed and trends can be noted. Will the Manufacturers Regret the Production Shift? What will happen if the national average price of gasoline starts to drop again or even just stabilizes in the $2.30-$2.45 per gallon range? The recent behavior of the oil market indicates that this stabilization is very likely. For the past few years, every time the price of oil rallies it tends to drop back down relatively soon afterwards. Based upon historical trends that would cause demand to shift back towards larger vehicles. This shift may lead to a glut of smaller vehicles and a shortage of larger trucks and SUV because of the changed production mix. Therefore, over the next few months you might be able to get some great deals on smaller vehicles. In order to take advantage of this opportunity for savings or to get the best possible deal at any time, follow the strategies that we lay out in our new car buying guide. Make sure that after you negotiate a the best price not to let your guard down. You must pay attention to all other aspects of the deal. If you let the dealer take advantage of you on trade-in value, overpay for needless extras or pay too high of an interest rate you will have wasted your time negotiating the price. There are multiple parts to a car deal and you should be educated on all of them.. It is important to get multiple dealerships competing with each other for your business. If you don't have somewhere else to go, you don't have enough leverage in the negotiation. 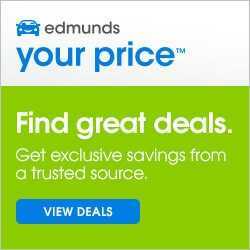 We recommend that you start by visiting TrueCar. You can see what other people in your area are paying for the car you are looking at. The guaranteed price certificate that they offer is great to use a ceiling in your price negotiations. Bring more dealerships into the fold using reputable, high quality sites like CarClearanceDeals.